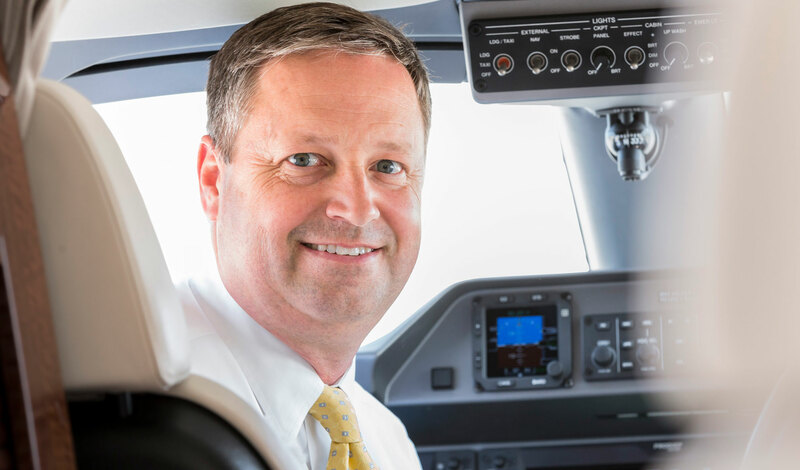 Keith Plumb—who co-founded regional fractional ownership provider Executive AirShare in 2000 with a partner, six employees, and two King Airs—has decided to leave his position as president and CEO. Plumb will step down in the next 30 to 60 days as a search for a successor is launched. He will assist in a transition under which current CFO John Owen will serve as interim president. The company has since grown to an operation that has more than 50 aircraft, nearly 200 employees, and bases in Fort Worth, Dallas, Wichita, Kansas City, and Buffalo. He credited the passion of his employees for the successes of the company and said the company has a strong foundation for future success. But after more than 17 years devoted to building the company, he felt the time was right to step away and “recharge the batteries.” While he has not yet begun to look at other potential opportunities, Plumb said he does not plan to retire and expects he might return to the industry. He also stressed that he will still have an interest in Executive AirShare as an investor in the company. "We cannot thank Keith enough for the immense contributions he has made to Executive AirShare, directly impacting the significant growth we have experienced during his tenure," said Wiley Curran, president and chairman of Curran Companies and management board member of Executive AirShare. "He has always displayed a relentless passion for customer satisfaction. The outstanding team he has built here is certainly testament to this desire. We wish him the best of luck in his future endeavors."